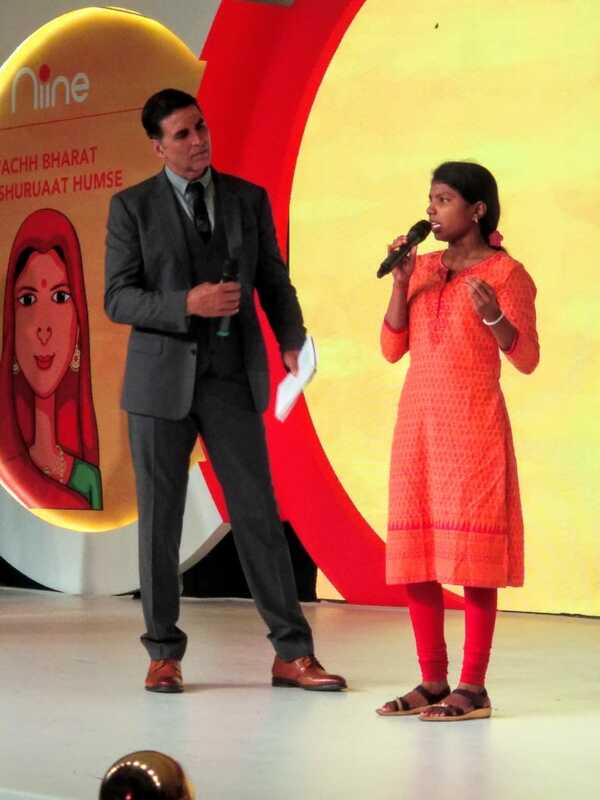 Bhubaneswar: Geetanjali Marndi, a class 10th girl from Kapilas Girls High School, Dhenkanal made Odisha proud when she represented at the ‘Niine Movement’s Menstrual Awareness Conclave’ held at ITC Maurya, New Delhi on 28th May 2018. Geetanjali joined Dr. Jennifer Butler, Deputy Director Asia Pacific Regional Office, UNFPA in the panel focusing on absenteeism of girl child in schools due to menstruation. She shared the panel with high profile dignitaries including noted film actor and social activist Ms. Shabana Azmi, former Secretary General UN Woman, Ms. Laxmi Puri and the head of Royal Commonwealth Society, Ms Shivani Wazir Pasrich. Geentanjali also had the opportunity to interact with the superstar Akshay Kumar who was the Ghief Guest of the conclave. An inspiring change-maker at 15, the story of Geetanjali is the clarion call for society at large to start talking about menstruation. It is indeed high time to not just talk but also celebrate these small steps towards change. Geetanjali was nominated for the conclave by the ST & SC Development Department, Government of Odisha. She studies in the residential school run by ST & SC Development Department and has set an example for many other girls like her by breaking the myths and misconceptions associated with menstruation and continuing her education inspite of social taboos. Speaking at the conclave she shared that Life Skills Education classes in her school helped her in understanding that menstruation is a normal thing for girls and how misbelief and unhealthy practises affect self esteem and dignity of girls. She learnt about the use of sanitary pads and menstrual hygiene management and now feels confident to attend classes even during her period. She said she felt happy to talk to to other girls and even women from her community about menstrual hygiene and make them realise the myths associated with it so that other girls don’t drop out or remain absent from school.